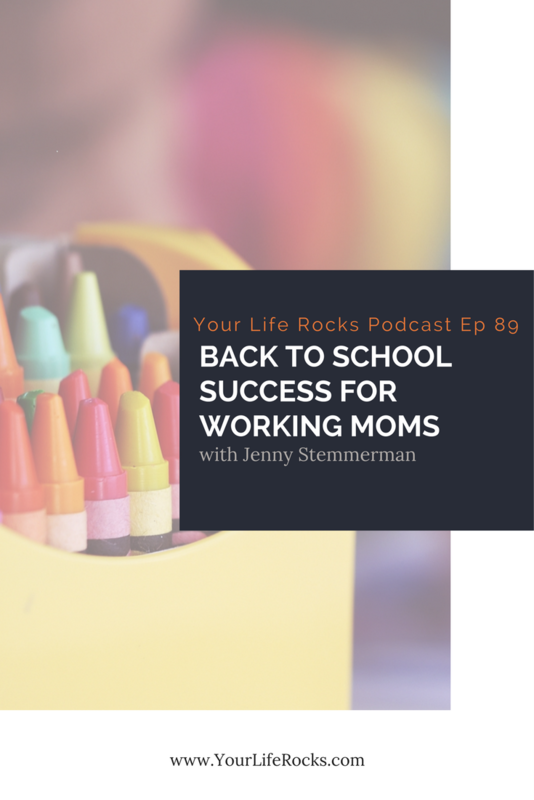 Back To School Success For Working Moms can be rough. Sure, it’s great to get everyone back into a routine but it also adds so much more to your plate. But it doesn’t have to be another year of craziness that flys by leaving you thinking, “How is the school year over already?”. Here are 5 tips to help you lay the foundation for the best year yet. 1. Set the intention of the mom you want to be. You gotta decide. How do you want to show up for your kids this school year? How involved do you want to be? When you can get really clear about what things are important to you and what things aren’t, it’s easy to let things go….including the mom guilt. 2. Build a relationship with your kid’s teachers. I can’t stress this enough. You are on the same team with your kid’s teachers. Start the year by building a relationship with them. Communicate with them and let them know they are welcome to communicate with you. Make sure that they have your cell and emails. Of course, they are on file in the school office, but giving them directly to the teacher and letting them know to reach out to you any time is totally different. It goes a long way in establishing your communication relationship. Put an alarm on your calendar to check in with your teacher once a month. Ask how your kids are doing academically, socially, or anything else you should know. Also, ask about any upcoming activities that you should know about. 3. Be proactive about your calendar. Remember step one? About being intentional? If you want to be “the involved mom” and be in the classroom, decide when and schedule it. Trust me, just saying you want to, won’t make it happen. Schedule the time off and schedule it with the teacher. 4. Know what’s important for your kids. You know sometimes we are guilty of putting all these expectations on ourselves thinking that it’s what’s good for our kids or it’s what they want. But do they? Have you asked your kids what they would like from you? Maybe it’s helping with homework, maybe it’s taking them to school each day. Just like it’s important to pick your battles, it’s important to know what sword to die on. Make sure it’s the stuff that matters and makes the biggest impact. Don’t feel like you have to conform to what this world says a “good mom” does. Hard does not equal good. So think ahead and ask yourself what the easy route is. Buy supplies online. Have your kids make their own lunches. Set up night and morning routines that make things easy on everyone involved. Sometimes we go to work to make things hard for ourselves. Don’t. Such a great podcast today. This totally helped me. I truly believe that when we ask God what our intentions should be for this school year, it really helps us get out of perfect mom mode and rely more on God’s grace. I’m definitely going to be implementing these tips for the school year. Thanks so much!!! I’m so glad it helped you! You are so right. Allowing God to guide us brings so much more peace than we could on our own.